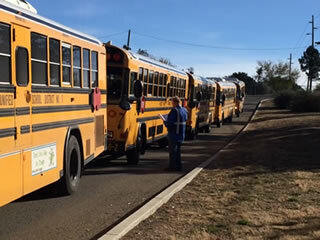 It is the mission of the Transportation Department to hold each driver and student accountable to the policies and laws that have been set forth by the Prescott Unified School District and the State of Arizona. We accomplish this mission by ensuring that our drivers are fully trained and given all the tools needed to keep all of the students that we transport safe at all times. We pride ourselves on being active in our community and providing a caring and safe environment for all our students.